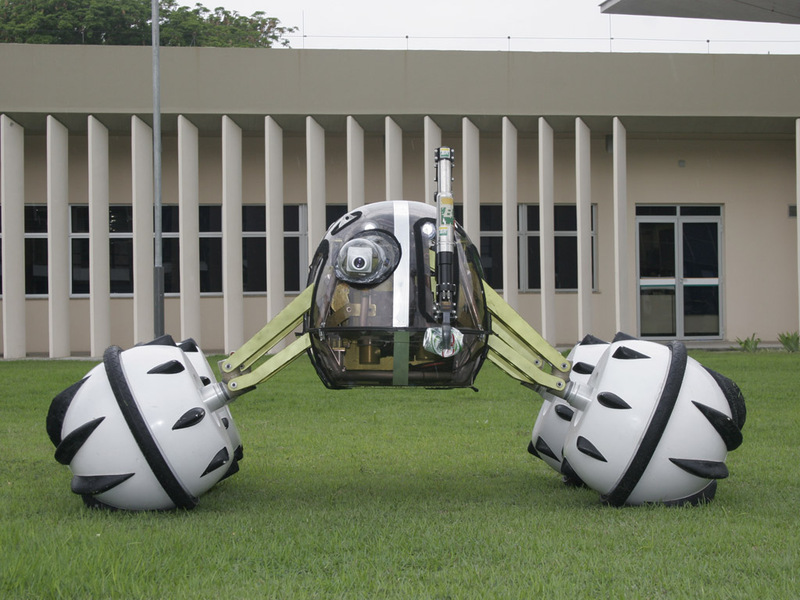 Chico is an environmental robot created to inspect oil pipelines in the Amazon. 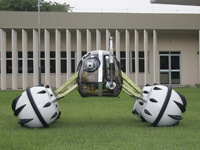 It's designed as an amphibian vehicle, and it can drive on sand, mud, and flooded terrain, as well as float on water. Chico picks up a soda can using its articulated arm. 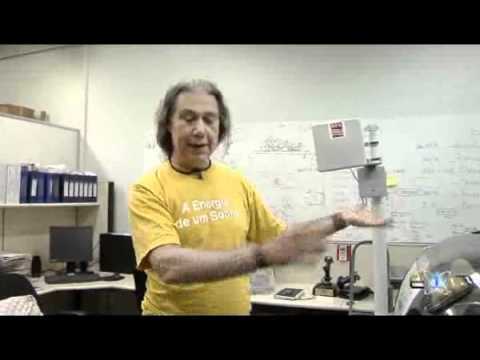 Testing Chico at Petrobras Research Center in Rio de Janeiro. 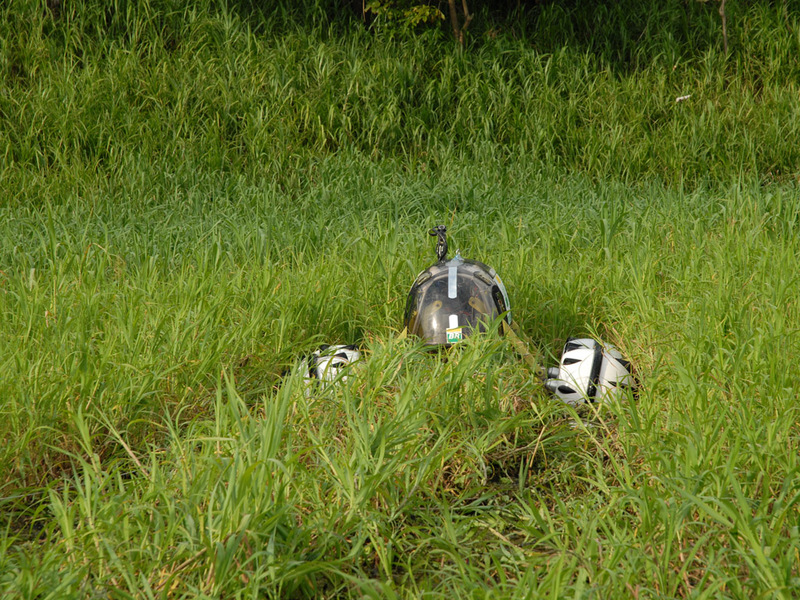 Chico explores a riverbank during trials in the Amazon. 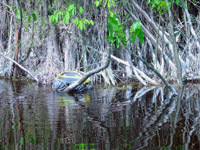 Chico drives through a flooded forest in the Amazon Basin. 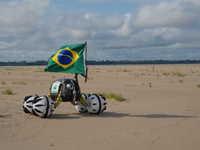 Chico with a Brazilian flag on a beach along the Amazon River. 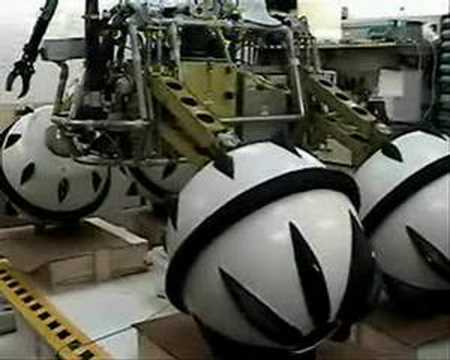 Testing the robot's suspension system. 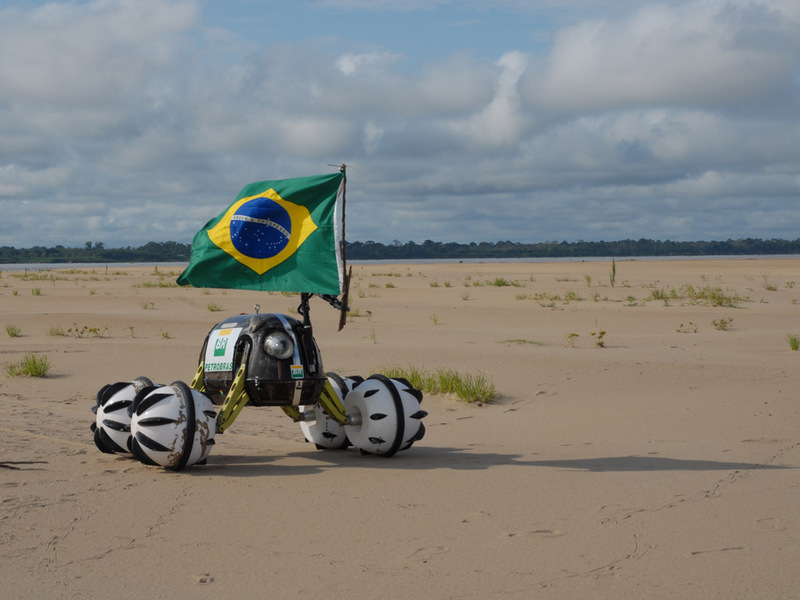 Chico robot on Brazilian TV (video in Portuguese). 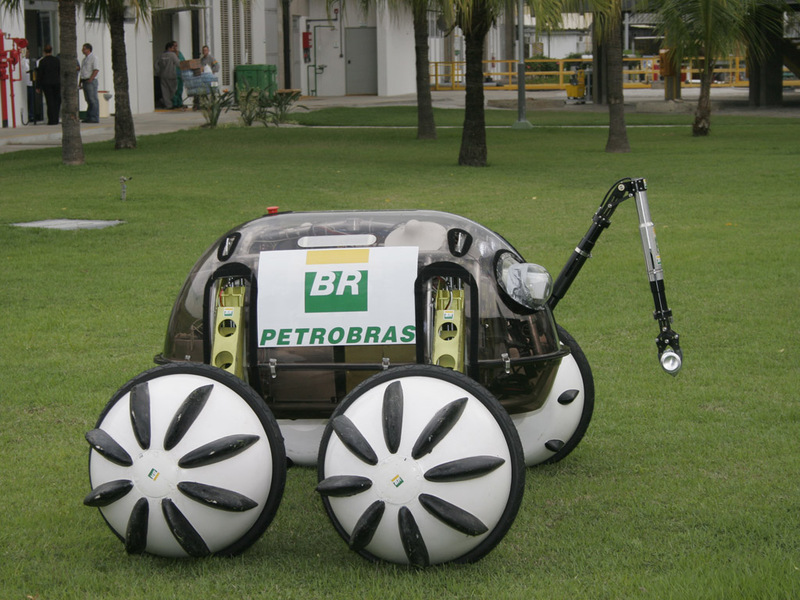 The robot is named after the famed Brazilian environmentalist Chico Mendes. 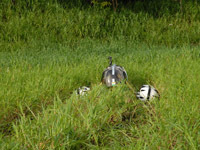 The robot was tested on the margins of the Solimoes River, in the Amazon rainforest. 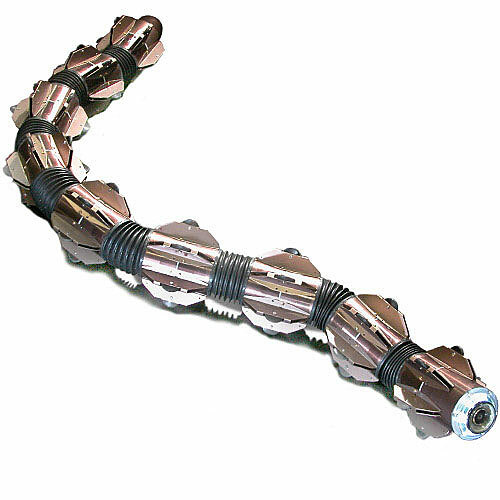 Equipped with a 3-DoF manipulator arm. 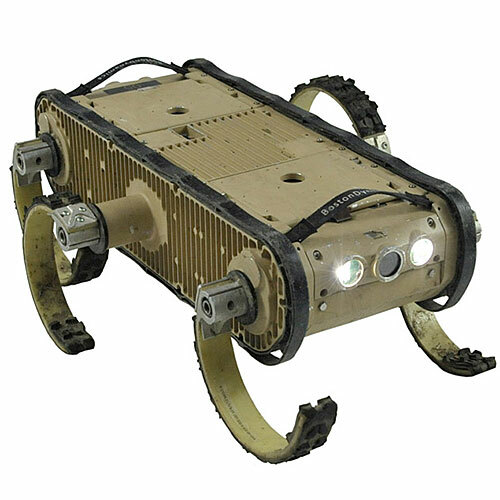 Able to drive semi-autonomously or under control of an operator. 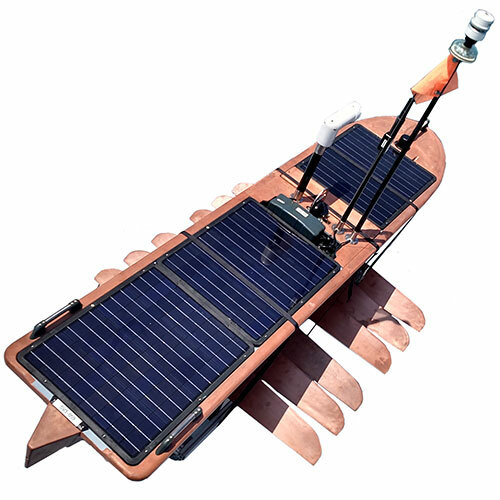 Explosimeter (to detect methane and other flammable gases), depth gauge and water quality sensors, GPS, IMU, infrared sensors (to detect obstacles). 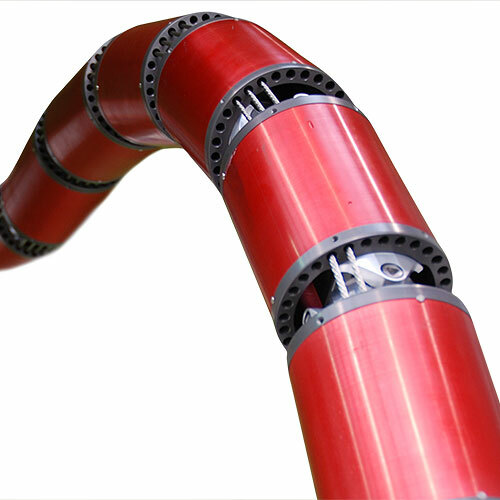 Aluminum, acrylic, fiberglass, and thermoplastics. Researchers at Petrobras, Brazil's state-controlled oil company, started working on a robot to monitor oil pipelines in the Amazon in 2005. 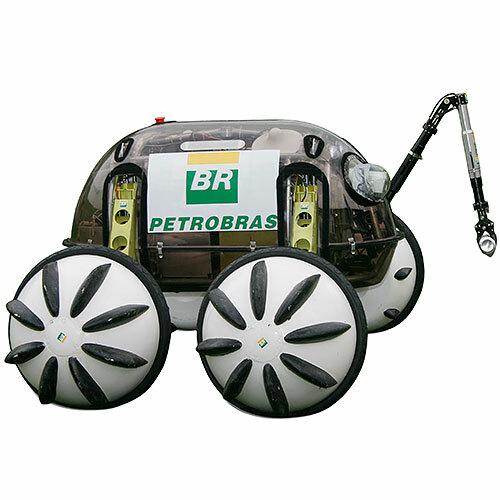 Led by Ney Robinson Salvi dos Reis, a robotics engineer at Petrobras' R&D center in Rio de Janeiro, the researchers completed a first model in 2007 and took it for testing in the Solimoes and Amazon rivers. 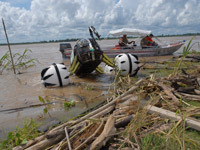 The robot, whose official name is Hybrid Environmental Robot Chico Mendes, was able to reach areas that are extremely hard to get to using conventional boats. 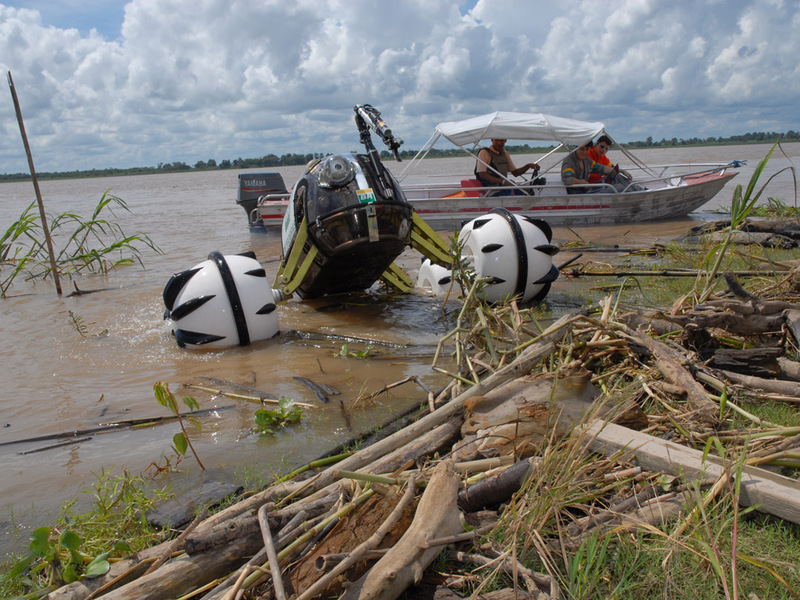 The team, in collaboration with other companies, research groups, and local communities in the Amazon, is now working to improve the robot's sensing and manipulation capabilities. They're also working on building a larger version that can transport a person inside.